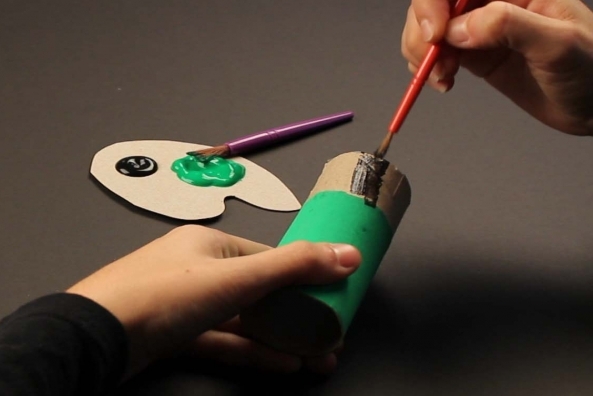 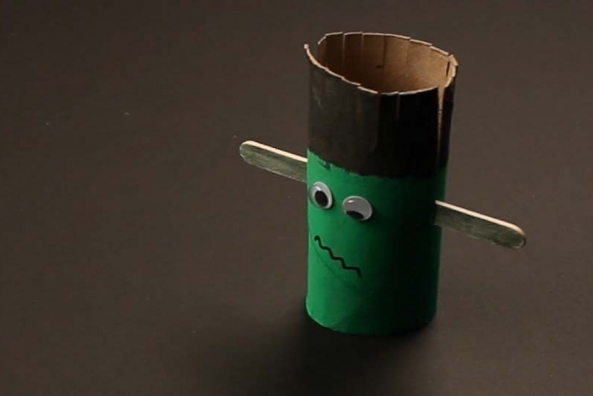 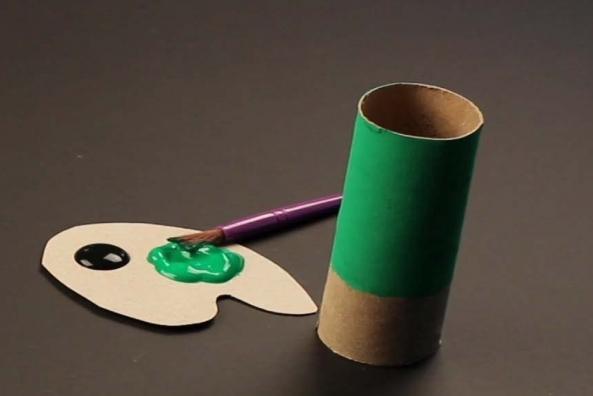 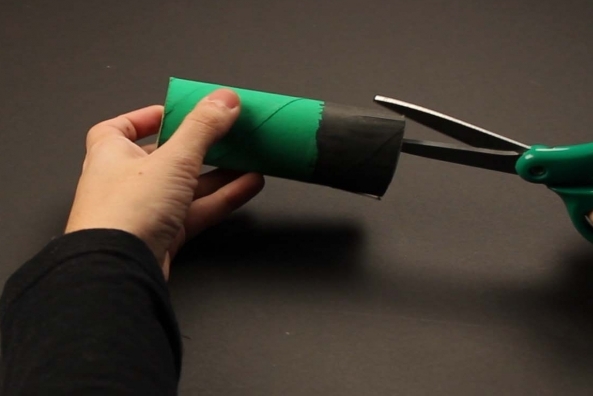 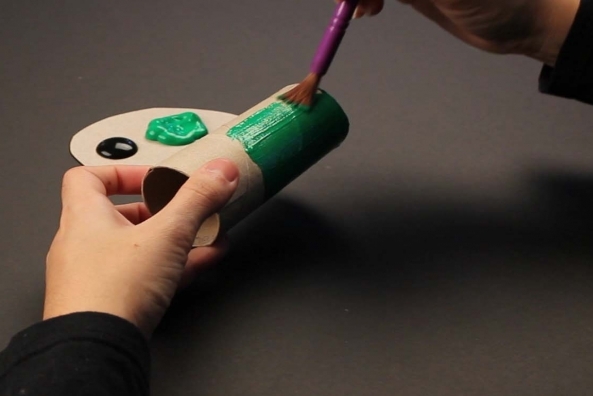 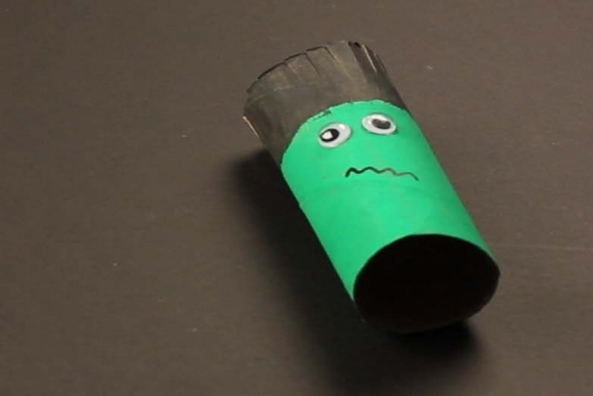 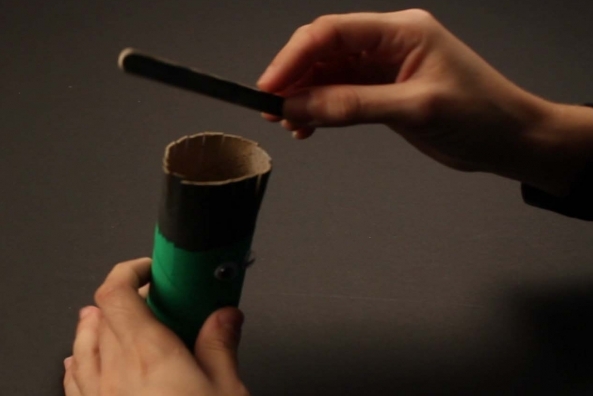 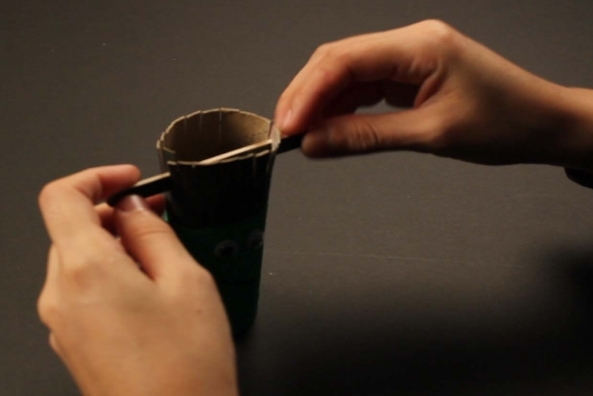 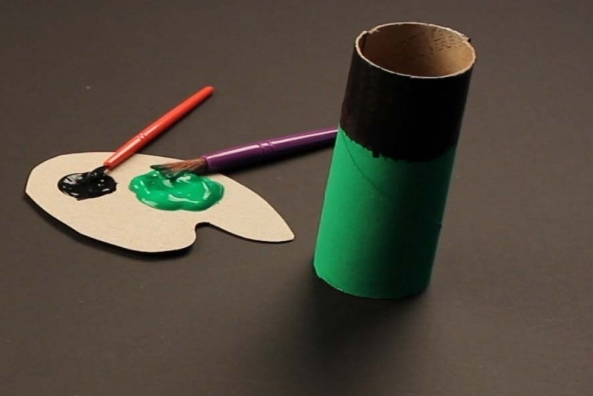 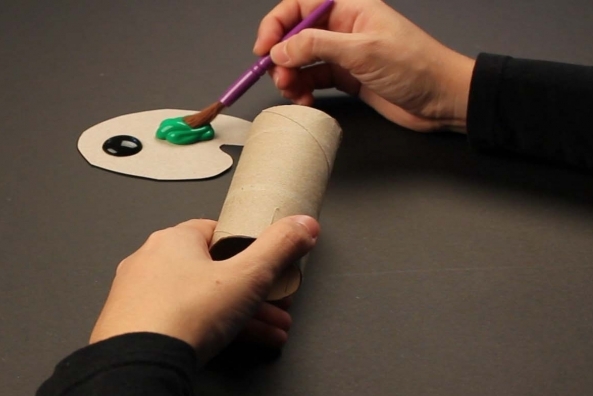 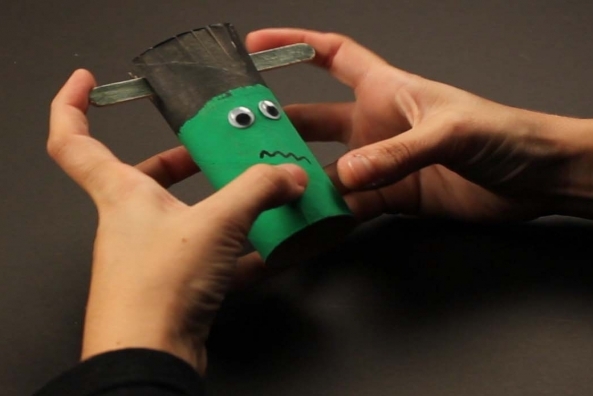 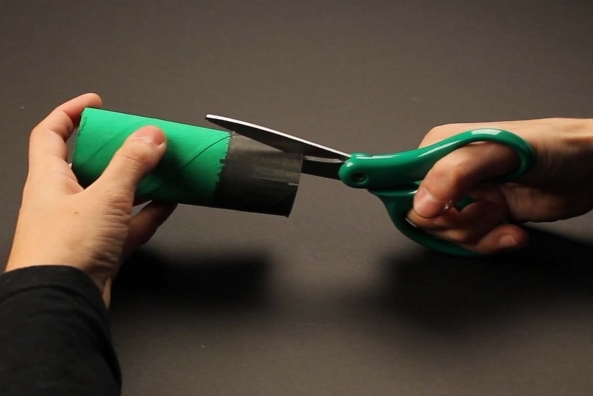 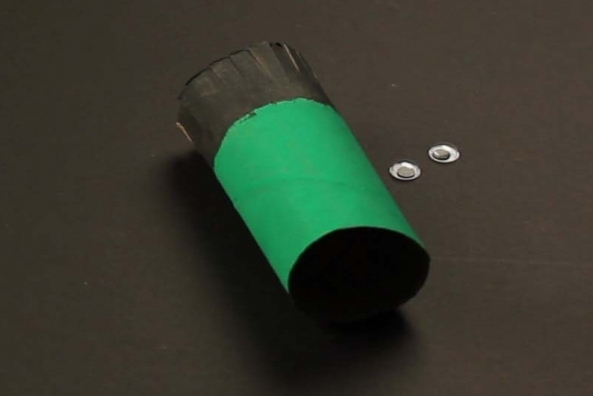 Save paper tubes and make this spooky and fun craft for Halloween! 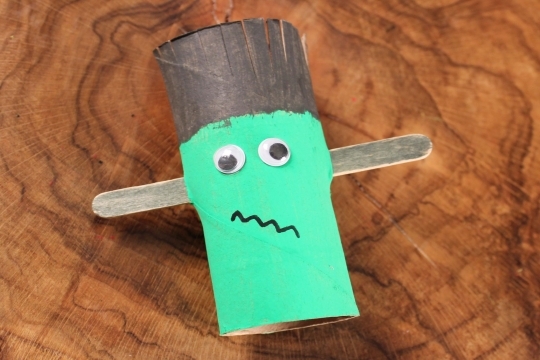 Make a friend with a monster in this story! 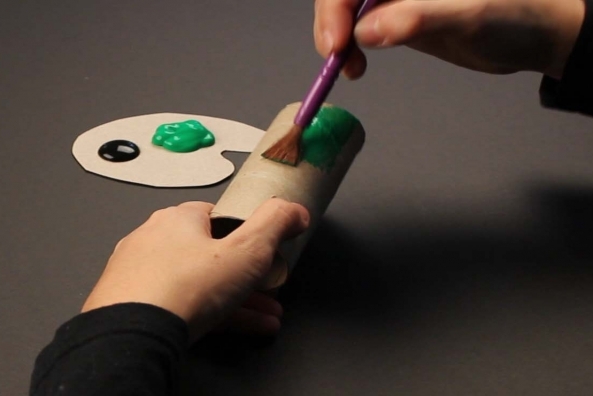 Paint a little more than half of your tube green. 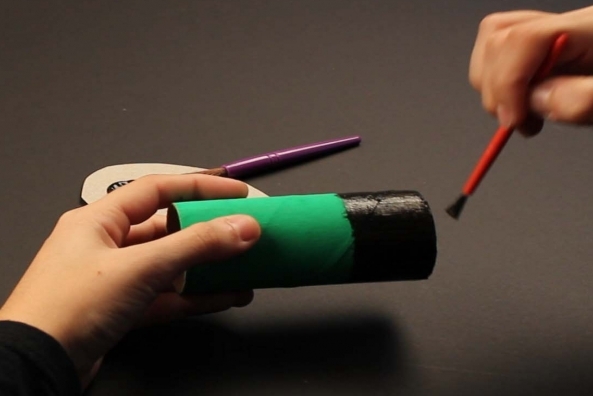 Paint the rest of the tube black. 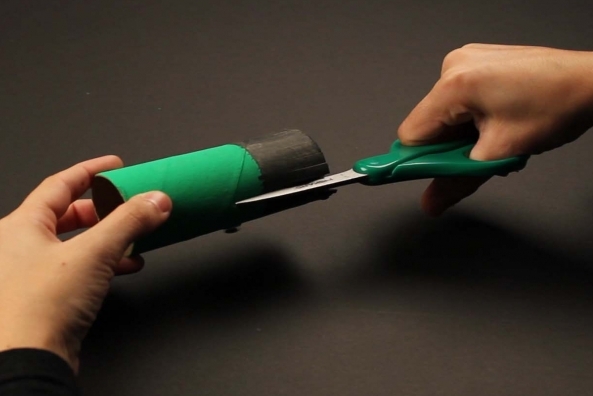 Cut slits to look like hair on the end that is colored black. 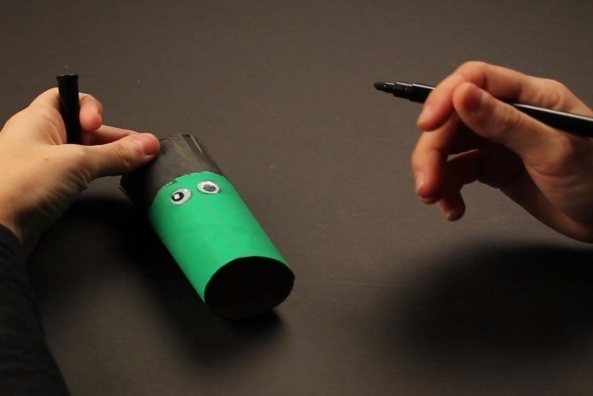 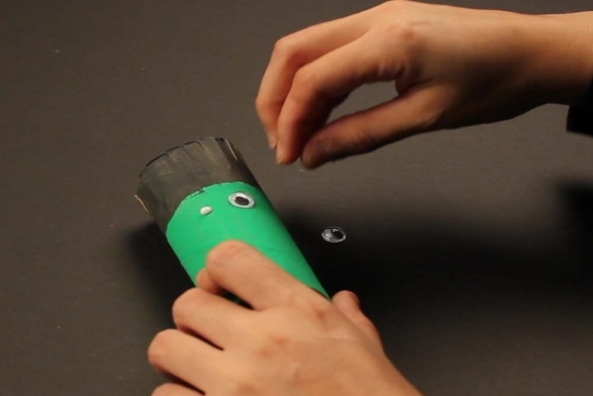 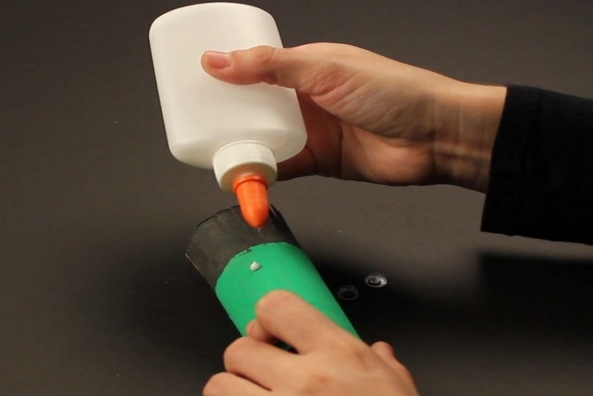 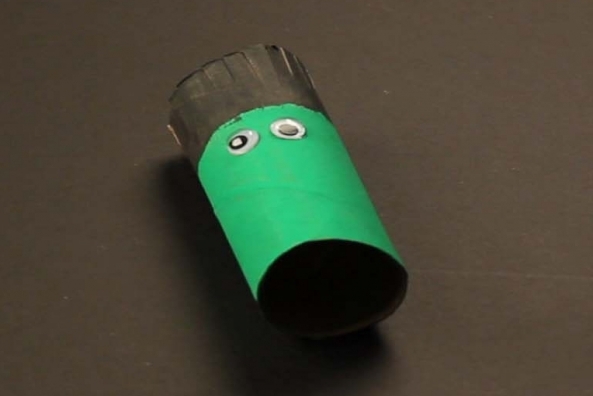 Glue two wiggly eyes onto the green colored part of the tube. 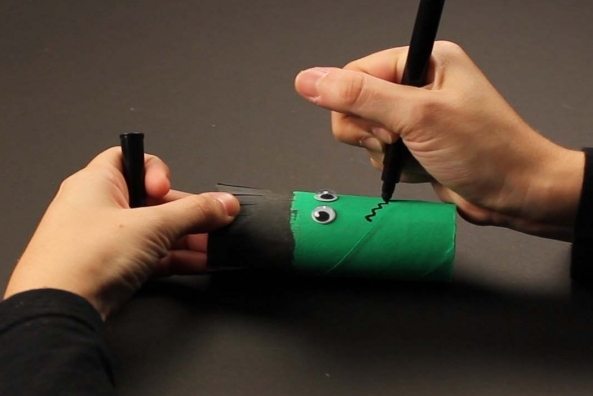 Draw a scary mouth under the eyes with a black marker. 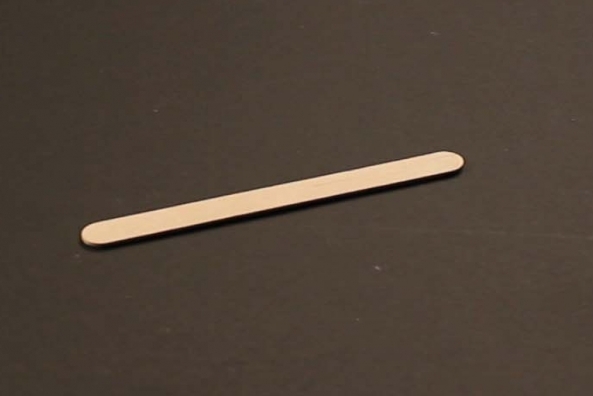 Cut a slit all the way down to where ears would be on either side of Frankenstein's head. 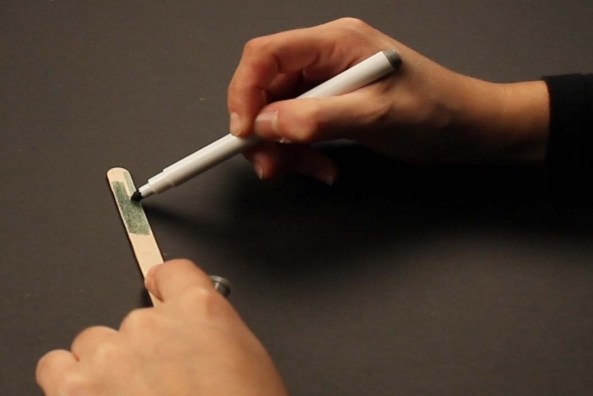 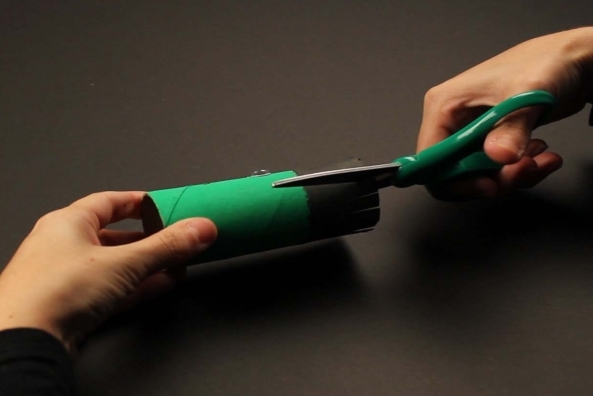 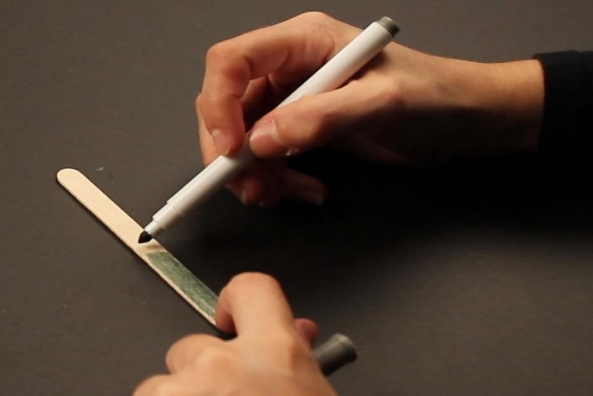 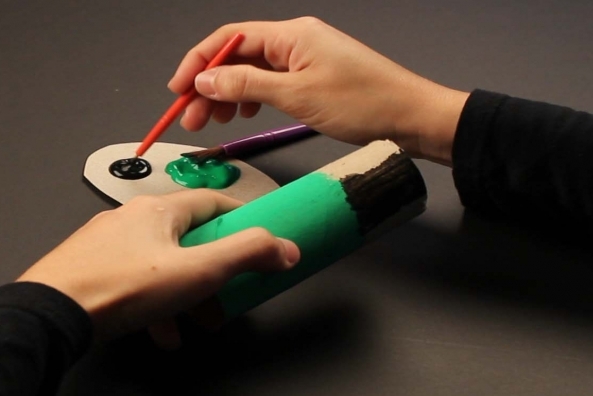 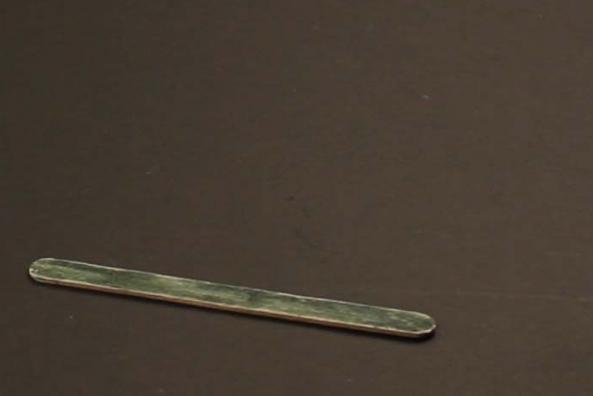 Color a craft stick grey with a marker. 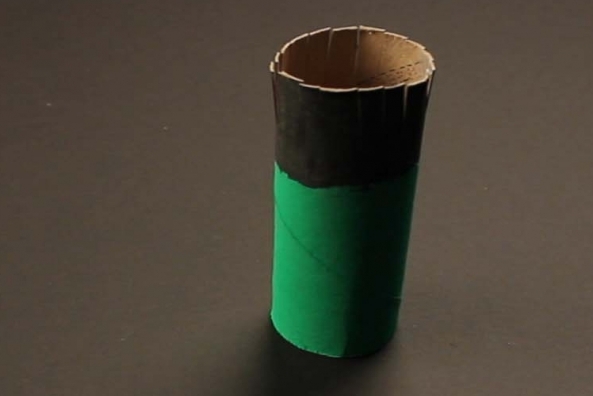 Place a craft stick to sit at the end of that slit.